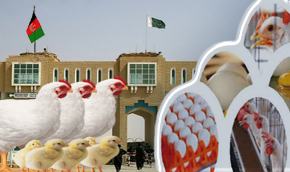 Science and technology have made for great expansion of the poultry industry in recent years. Current world average expansion of egg production is 3 to 4 % annually. Most nutrition programs can be improved by the inclusion of eggs and / or poultry meat. Poultry products are of the highest nutritional quality. It gives me great pleasure to participate in poultry congress organized by Pakistan Poultry Association. Recommendations of national poultry congress 2004 Recommendations through the forum of this prestigious congress. Meeting held on Friday 02 April 2004, at PPA (Punjab Zone) Secretariat Office, 17-C,1st Floor Chauburji Centre, Lahore. Minutes of the Meeting are submitted as under.